Am I at Risk of Having Sleep Apnea? A sleep screening questionnaire is often used to check for sleep disorded breathing. Answer the questions carefully, then add up your score. In contrast to just feeling tired, how likely are you to doze off or fall asleep in the following situations? A score of 8 or greater indicates the possibility of sleep disordered breathing. The following questions are also used when determining risk factors for sleep apnea. 1. Do you snore loudly or have you been told that you do? 2. Has anyone observed you stop breathing during the night? 3. Do you have, or are you being treated for high blood pressure? 5. Is your neck size greater than 17"(male) or 15"(female)? 6. Do you often wake up in the morning with a headache? 8. Do you often feel tired, fatigued, or sleepy during the day? Four or more "Yes" responses place you in the category of suspected high risk of having Obstructive Sleep Apena (OSA). Please remember, this information is to be used only as a tool in determining if you are at risk for sleep apena. Only a Physician specializing in sleep medicine can make a diagnosis of OSA after an in-lab or at home sleep study. There are several effective methods of treatment for OSA, including Oral Appliance Therapy, and the first step is to speak to your medical doctor. We hope you have found this information helpful, Obstructive Sleep Apena is a serious medical condition that often goes undiagnosed. Please feel free to contact our office if you have questions about your risk factors or if you are diagnosed with OSA and have been referred for an oral appliance. 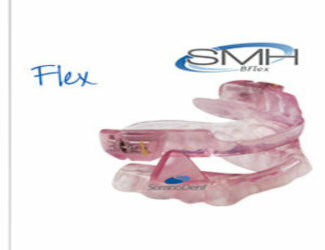 We are an authorized Medicare provider of oral appliances. If you have Medicare coverage, we can determine your benefits and review this information with you fully before treatment is started. Call 516-825-6695 or email: [email protected] for a free consultation.